If you haven't, go read the first chapter here. It'll get you all set up for this chapter. 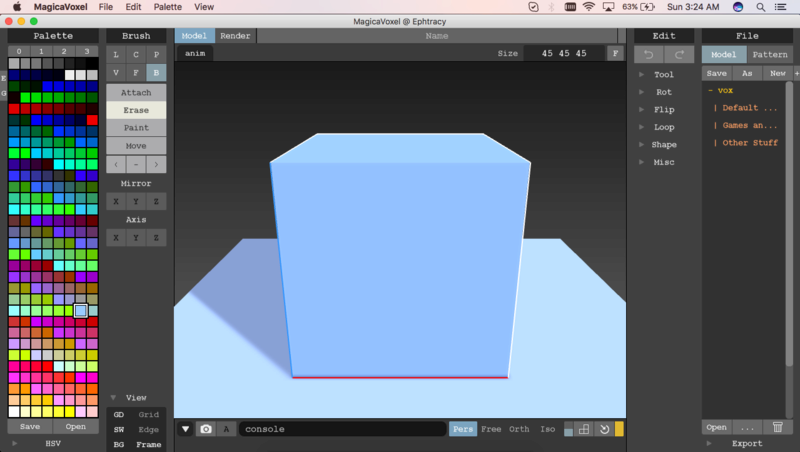 In this tutorial, you'll learn how to navigate the left third of MagicaVoxel 0.98. I'm going to have to split this chapter into three parts, since it's much too big for one chapter. Let's start by opening it up. When it loads, you should be greeted with this screen. 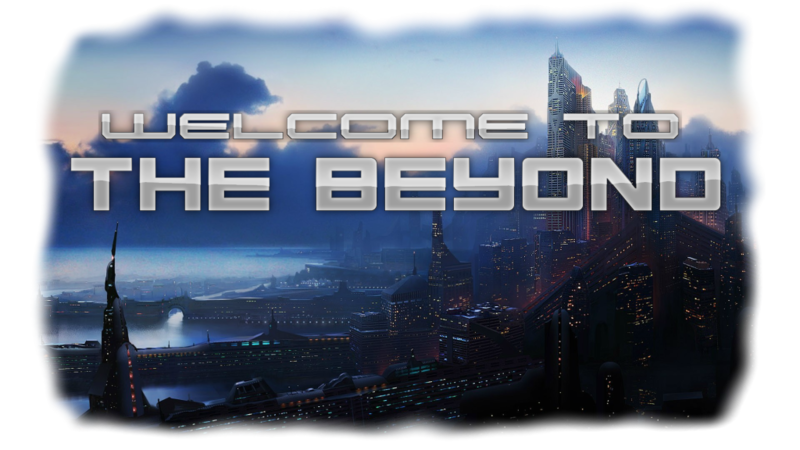 We'll explore the screen from top left to bottom right, starting with the menu bar. It should look the same no matter what operating system you are using. 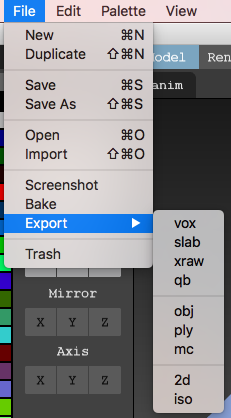 There are four buttons, each with its own submenu. The Palette Panel is where you can edit palettes and change the current color you are using. Each palette is made up of 255 colors. The top right box (the one you can't click) is unused. There are 2 default palettes to choose from inside of the program, and 2 blank ones for you to make your own. 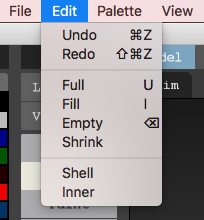 Go to Palette>Open in the menu bar to open a saved palette. To edit a new or existing palette, there is an HSV tab at the bottom, which you can click to expand. It features a hue slider and brightness slider, as well as a RGB input area. If you click on the three lines, the HSV panel turns into an RGB panel, which can be more useful for advanced users. You may have noticed the "E" and "G" tabs on the left side of the panel. 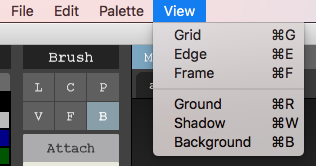 The "E" tab is for choosing the edge color, while the "G" tab is for choosing the ground color. There are 6 buttons in the first section of the Brush Panel, each corresponds to a certain brush mode. The second section of the Brush Panel hold the action buttons. The third and fourth sections go together. I haven't experimented enough with the 5th section to know enough about what it does. Updates to come. The View Panel is basically the View Menu in the Menu Bar. That's all there is for the Menu Bar and left third of MagicaVoxel. Chapter 3 will be arriving soon.